How do you prevent a maritime disaster such as the one five years ago with the Korean ferry Sewol, in which 304 people died? And how do you give passengers more time to safely disembark during a critical situation and increase their safety? 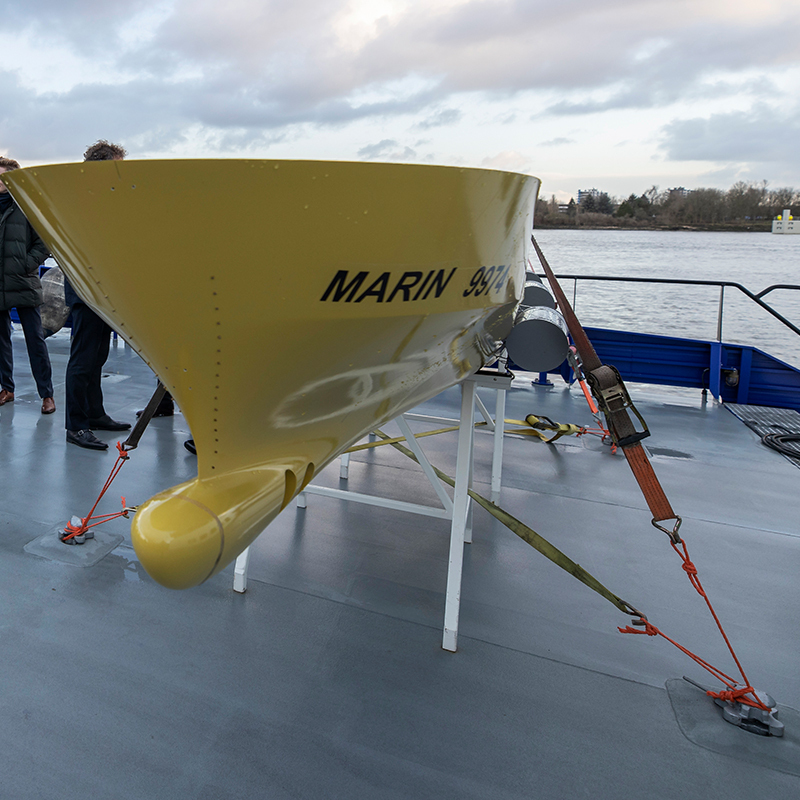 Maritime bachelor students Cas van Engelen, Bart Ettema, Martijn Witvoet and Feiko van Logchem tackled this question on behalf of research institute MARIN for their bachelor graduation project. Together with MARIN and ship stability specialists from SARC, the students elaborated on this concept. 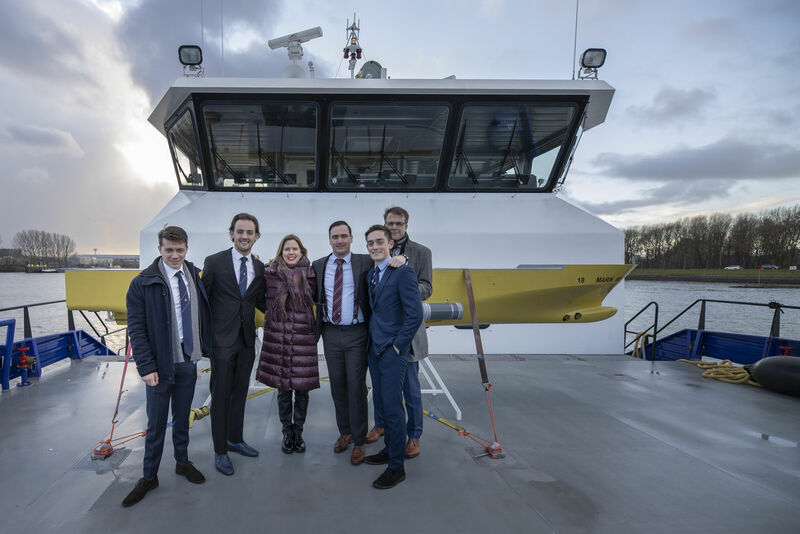 This week the students presented their first prototype and their research to Cora van Nieuwenhuizen, Minister of Infrastructure and Water Management, during a work visit to the Water & Maritime Top Sector. The research revealed that passenger safety increases dramatically through the use of EFSDs. EFSDs are airbags, much like the ones used in cars, that rapidly inflate alongside a ship in case of an emergency in order to prevent it from sinking or capsizing. This gives passengers more time to safely disembark. EFSDs serve to enhance stability and buoyancy and act as an additional safety measure. From left to right: Cas van Engelen, Bart Ettema, Cora van Nieuwenhuizen, Feiko van Logchem, Martijn Witvoet en Bas Buchner.